A 3-day musical event honoring the legacy of Waycross, Georgia's hometown boy, Gram Parsons, musical pioneer and creator of Cosmic American Music! 27 acts with non-stop music on 2 stages! 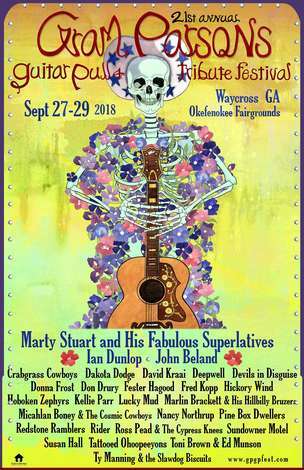 Join us Sept 27-29 in Waycross, Georgia at the beautiful Okefenokee Fairgrounds for the 21st Annual Gram Parsons Guitar Pull and Tribute Festival!